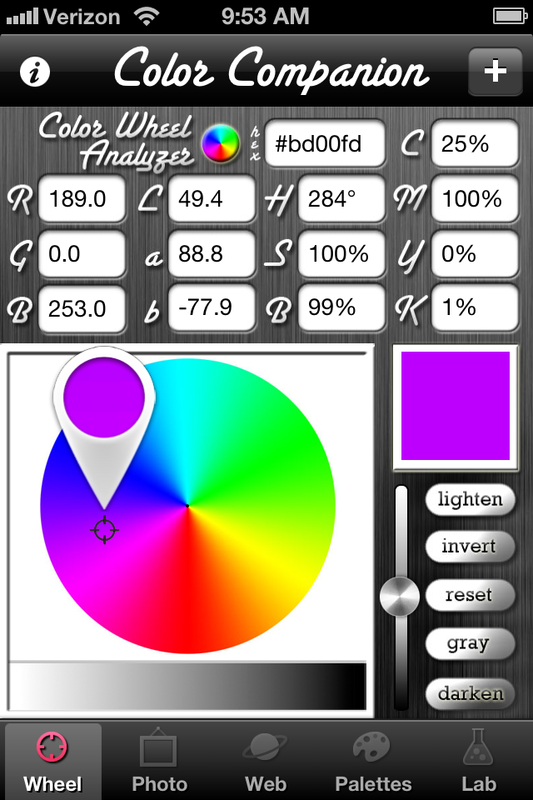 There are OS digital color widgets, extensions and software programs, but there are also some great IOS digital color apps. And in many respects, some of the IOS apps may be more useful for illustrators and designers who prefer a certain kind of interface or need a specific functionality, along with the need for portability. Back before there were computers or software available to provide production assistance to illustrators and designers, when they needed to choose process colors to simulate solid ones, printers would provide screen tint swatch books. These books were very expensive to produce and were coveted by anyone who could get their hands on them. 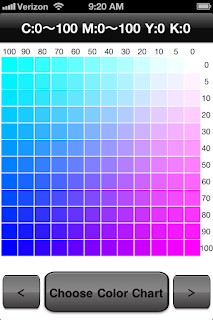 Color Chart 3 duplicates the look of these screen tint books, but brings the selecting of colors into the digital age. The ability to see all tonal variations of a combination of two or more process colors is extremely useful. 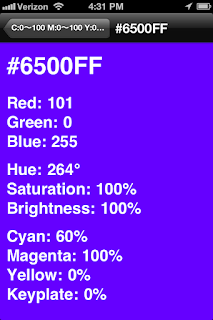 It is essentially a dictionary of CMYK colors. Selecting a color block will display HSB, RGB, and CMYK values that can then be used in other digital programs. 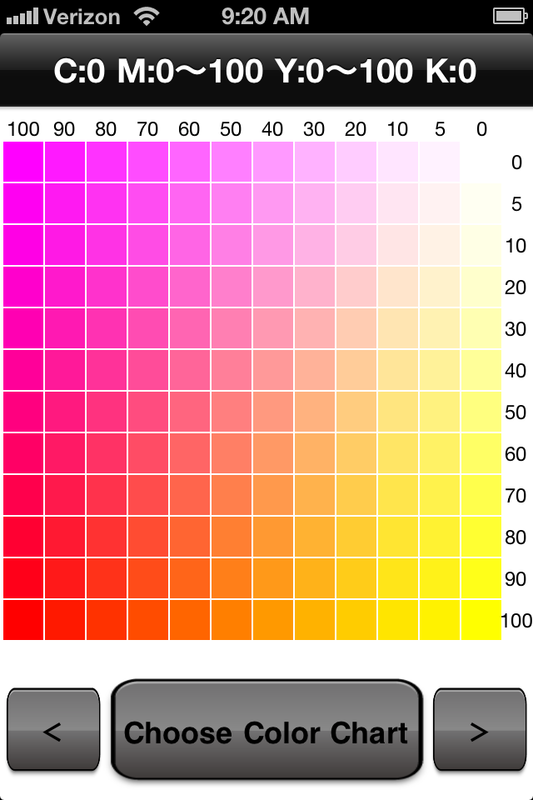 Chart for magenta and yellow color mixes. 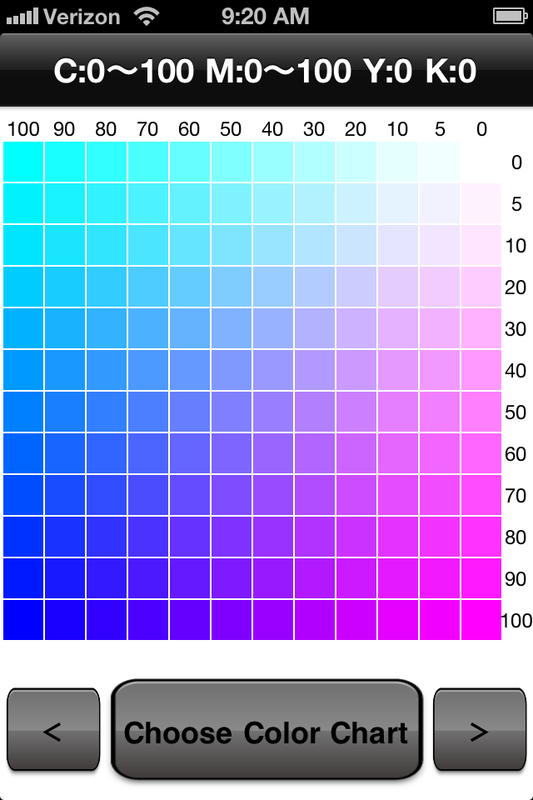 Chart for cyan and magenta color mixes. 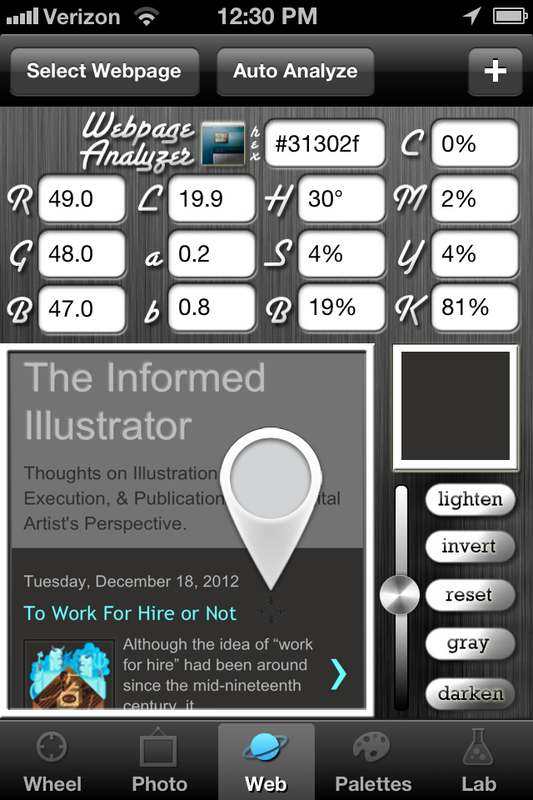 Single color display with numerical values. 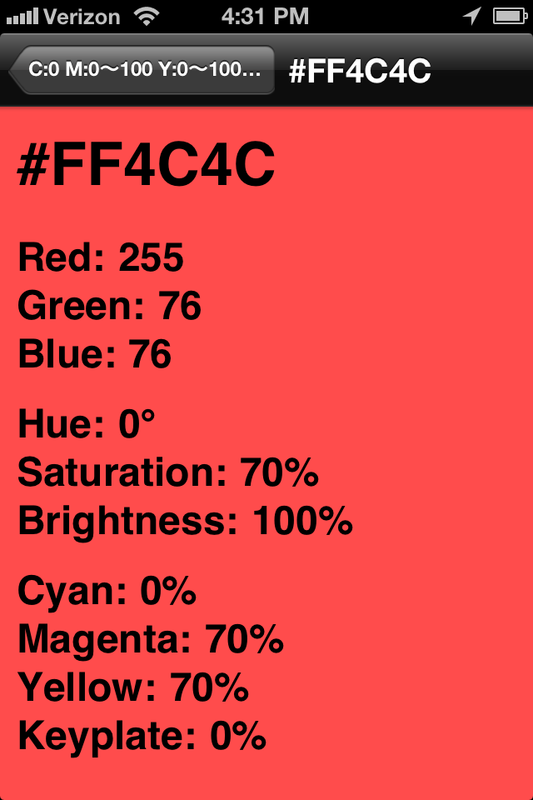 Web, RGB, HSB, and CMYK values displayed. 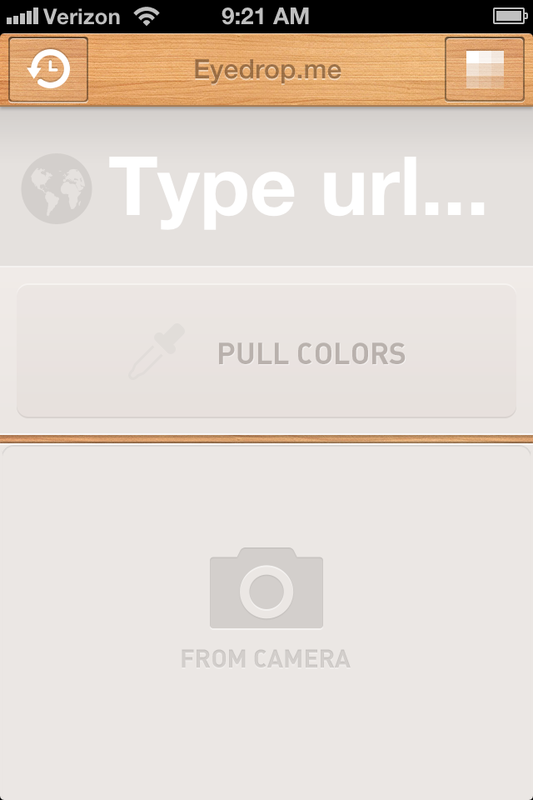 EyeDrop.me is a smartly designed app for picking, editing, and saving color swatches on IOS devices. 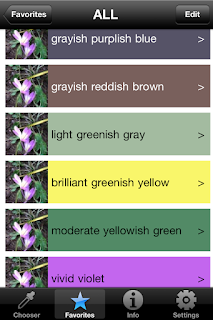 The app will detect colors from a website’s style sheet, or a photo. 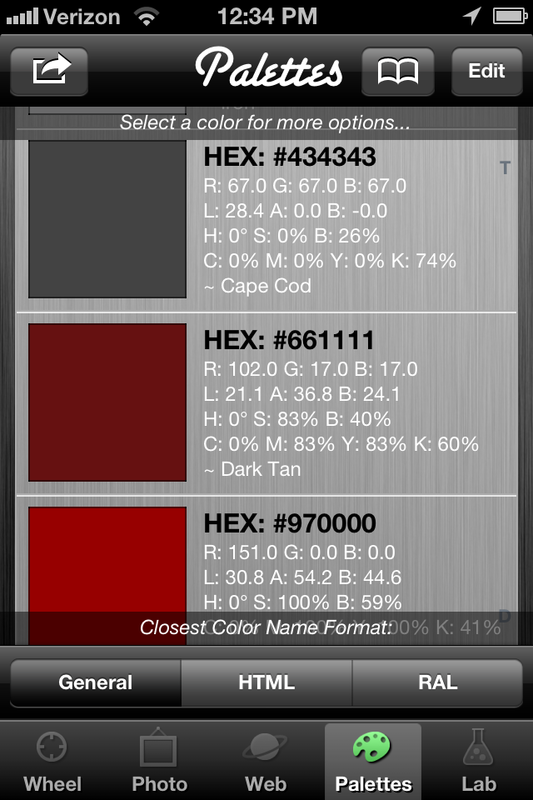 Colors can be selected with an eyedropper and added to custom palettes. 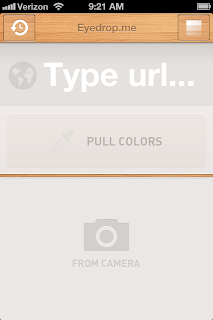 EyeDrop.me displays all possible colors from the website or photo you used, and the app will keep a history of the websites used to detect colors. 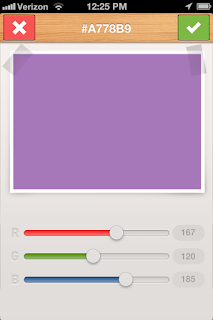 Swatches can be custom named and edited by changing the RGB values. The results can then be sent to Adobe Photoshop or Illustrator. An email formatted in HTML or ASE with the chosen colors can also be sent for further use. The intuitive app interface is well designed both aesthetically and functionally. 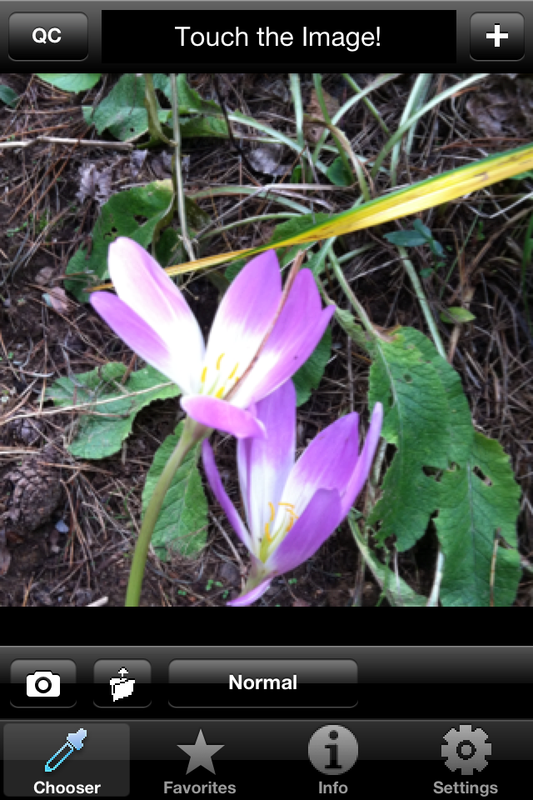 Type URL or select a photo to be analyzed. 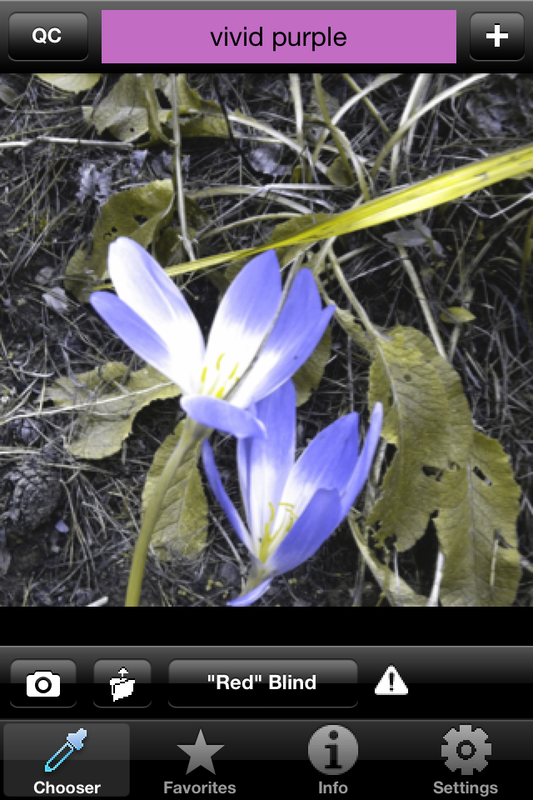 Photo of flower color analyzed. 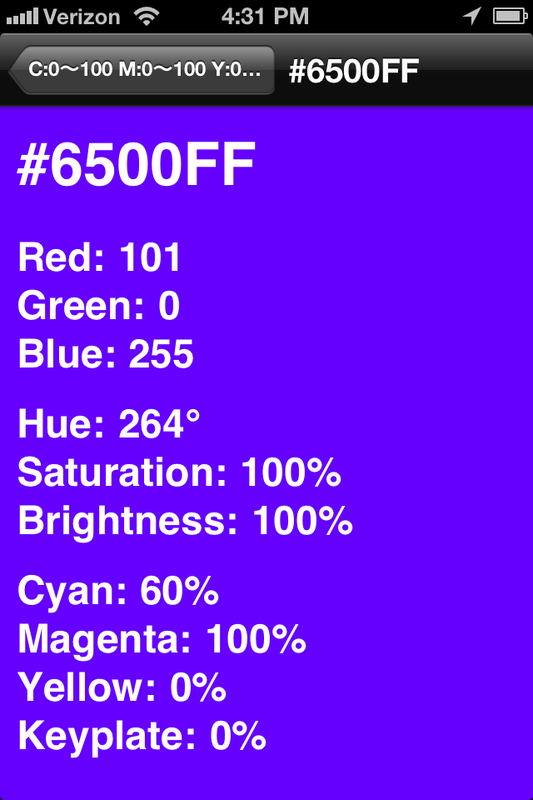 Selected color with RGB & web color values. 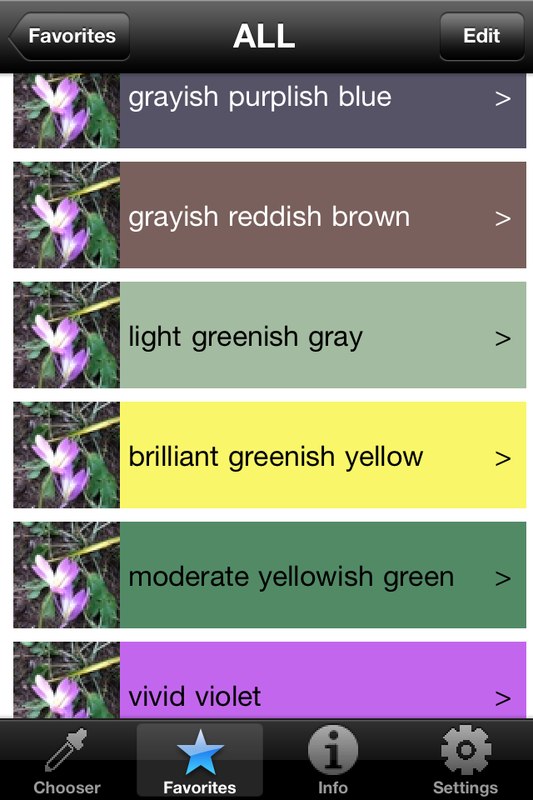 HueVue is an app that was created to help colorblind people identify, match and coordinate colors. 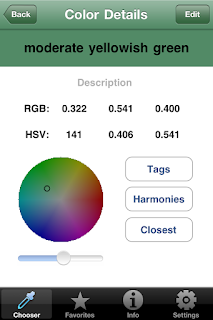 Any photo or image can be used to; provide detailed color information; display various color blindness conditions; simulate the appearance of color vision limitations; compare and coordinate colors; and manage a color library collection. 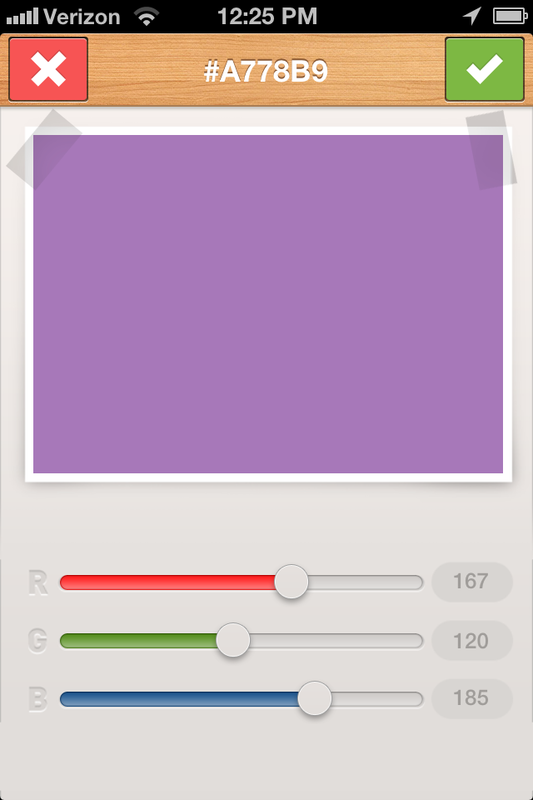 For illustrators and designers, HueVue provides a very unusual color identification tool. 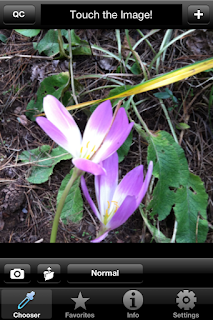 A picture taken with the camera or an image from your library can be analyzed by touching a portion of the image. In addition to displaying an image to show certain types of color blindness, HueVue also has unique features designed to assist with color coordination and color matching. HueVue displaying normal vision of photo. HueVue simulating red color blindness. Display of favorite colors chosen from photo. 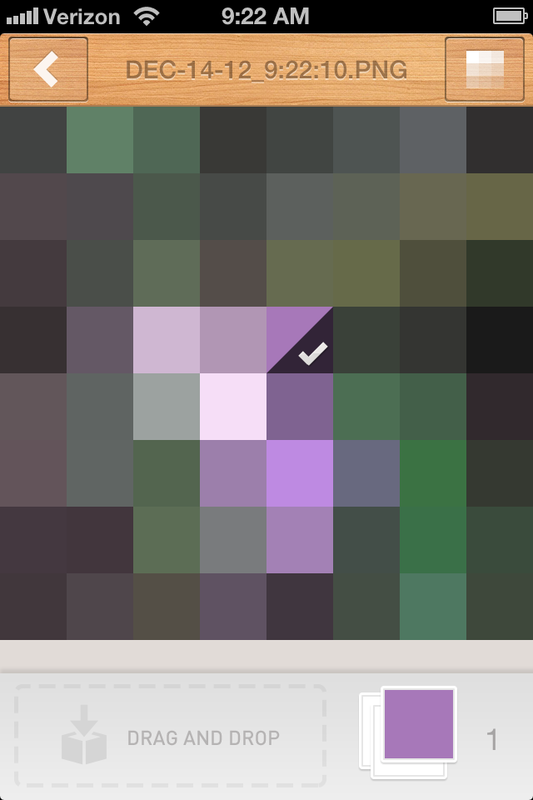 Fully editable color detail from favorites. 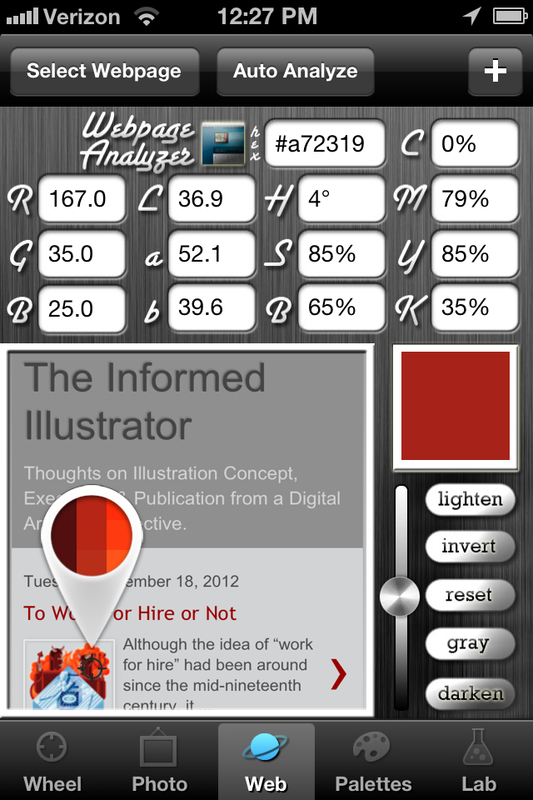 Color Companion is a multipurpose digital color app that offers a wide variety of functions. 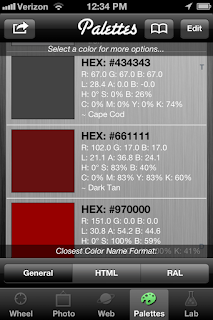 It can; analyze colors with a color tester; convert color values for web use; create palettes from images or websites; perform additive or subtractive alterations by degrees on color swathes; and store custom palettes. Color companion also provides a color wheel for non-image color selection. 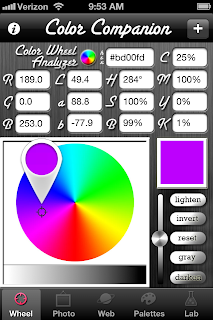 It offers the option of applying color theories, such as analogous, complimentary, tetradic, etc. based conditions, to alter color schemes. 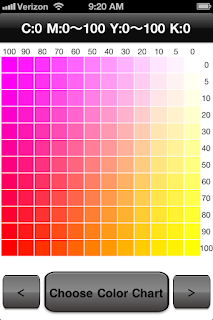 The color information is provided for RGB, CMYK, HSB, HEX, and Lab color spaces. Color Companion also provides a library of 50 color palettes that can used and edited in lieu of creating a custom palette. 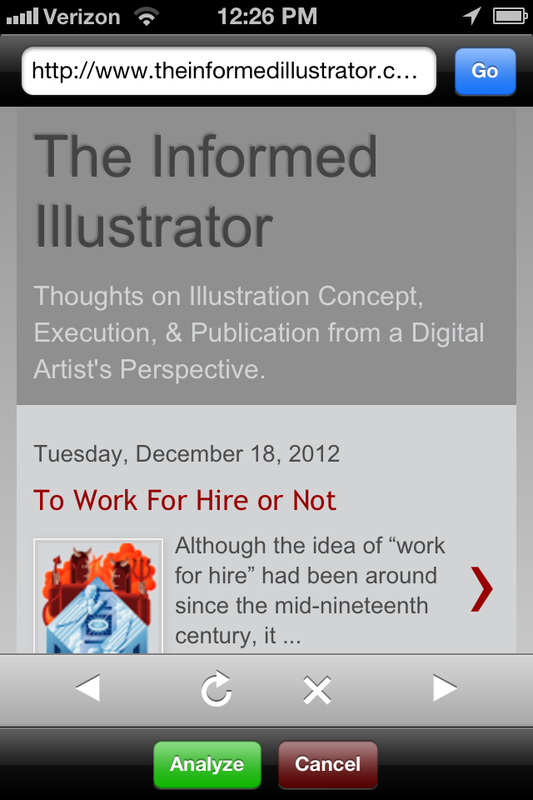 The comprehensive capabilities of Color Companion make it an excellent choice for illustrators and designers who use IOS apps to aid their OS digital work. 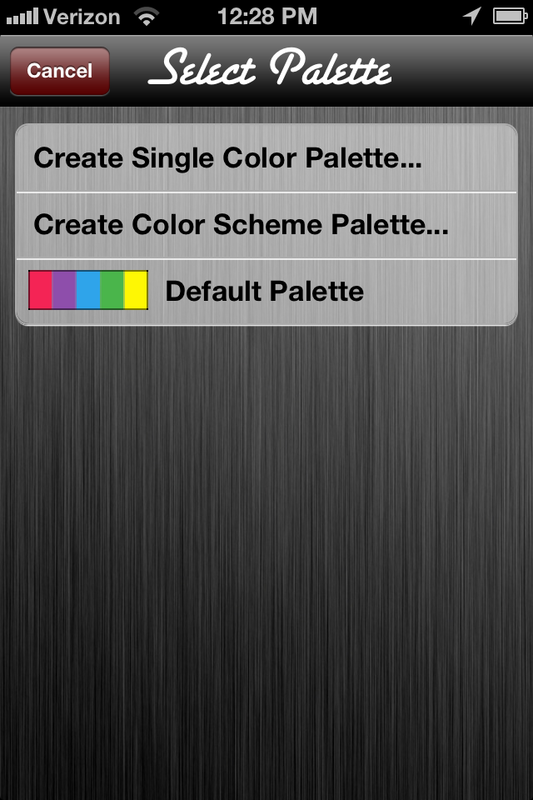 Home screen with color selection wheel. Website linked and ready for analysis. Color alterations. In this case color inversion. 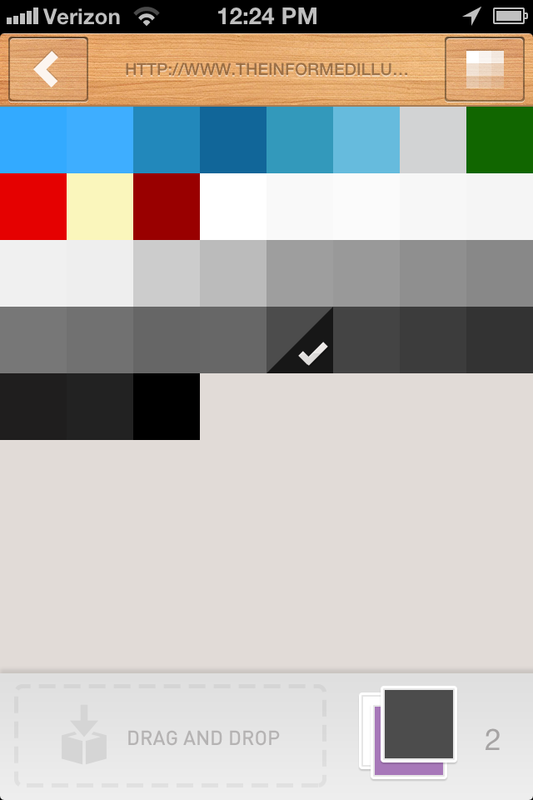 Selection options for creating a palette. Display option for results of palette selection. 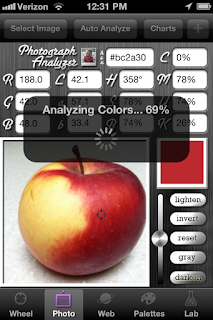 Colors analyzed from this photo of an apple. 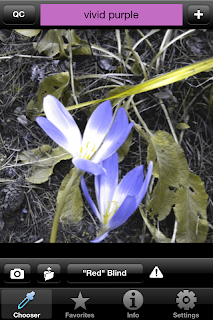 Results of colors detected in the apple photo. Some Mac OS apps and widgets and versions of Adobe extensions are also available in Apple IOS format, like Adobe Kuler, which is called Saturation. 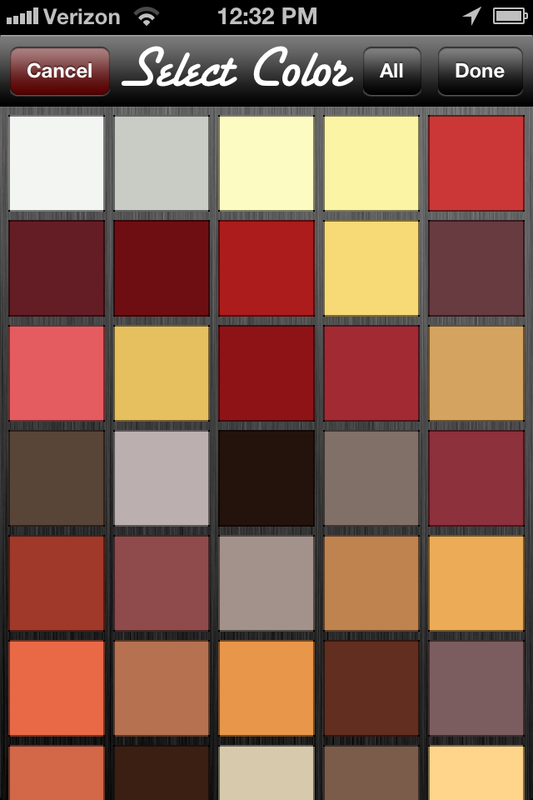 Others include ColorSchemer, Color Guide, etc. Although similar, OS apps and IOS apps vary in functionality to accommodate the differences in the operating systems. For more information on digital color widgets and Adobe extensions, see “Digital Photoshop Color Aids”, and “Digital Color Aiding Free Widgets”.